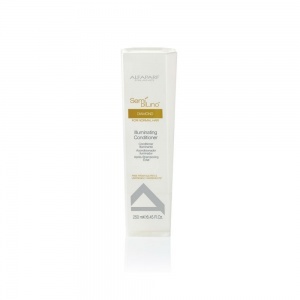 Semi Di Lino Illuminating Mousse adds texture and natural movement to straight hair or defines curls without stiffness or excessive build-up on curly hair. Its innovative formula conditions hair and delivers exceptional shine. The firmer Semi Di Lino Strong Mousse adds extra definition and shape, but still gives you a natural finish. Directions: Shake well. Distribute through long hair using the hands or with a wide tooth comb. You can leave to dry naturally or with hairdryer. 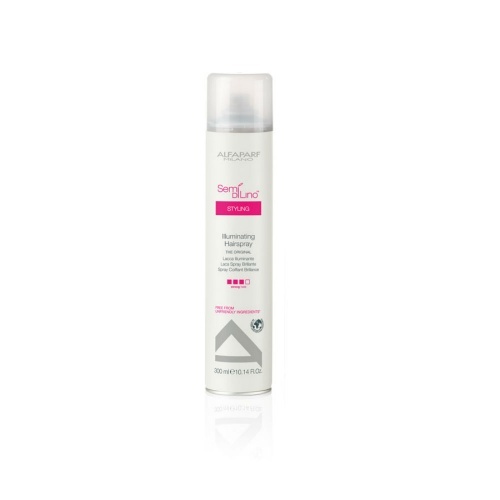 To help control frizz, you can apply directly to dry hair. Could not source this excellent hair product anywhere until through a search link I came across Merritts for hair. The link took me to the actual product rather than just the home page, always pleased when that happens. price of product as expected, web site loading of pages quick and ordering a dream. Product arrived on time in pristine condition. Would use Merritts again and recommend. This hair mousse does not 'clog' my fine coloured hair, lovely fragrance and you do not need too much so a can lasts quite a long time. Definitely seems to prolong the colour, leaves a nice texture after blow drying, not brittle or sticky and seems to stop fading as an added bonus. Very pleased to have found it again, first used when purchased on holiday in Europe. Thank you Merritts for hair! Absolutely brilliant hair mousse. Contains no nasties, which is great. My hair isn't the best at times due to a low thyriod, this mousse made it feel and look how it used to, my curls were more defined again and great body was returned to my hair. Have tried so many mouses over the years, at long last, I've found the perfect match . Highly recommend this product. Smells amazing and works every time! I have tried every mousse there is and this is by far the best one for my hair. Doesn't leave sticky roots, adds volume you can still run your fingers through.